Every season needs an infinity scarf to finish off a stylish outfit. Join us to sew a woven Infinity Scarf in this fun and simple class. Learn how to choose multiple fabric prints and colors that blend cohesively in a completed garment, through the rules of proportions & scale. Learn the difference between quilters weight cotton/poplin and cotton lawn, and the role that drape plays in apparel sewing. 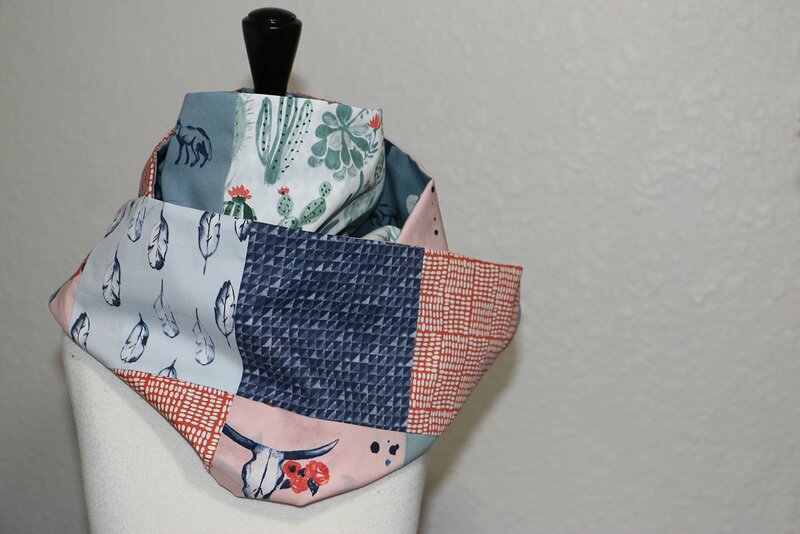 Then sew along as we use those rules and basic sewing skills to create an infinity scarf. We will also inspire you to recreate this project again at home with bonus ideas that will take your infinity scarf up to the next level of style!